Meet the guy in charge of your sleep at ZEN Rooms! Proof that even budget hotels can delight guests! 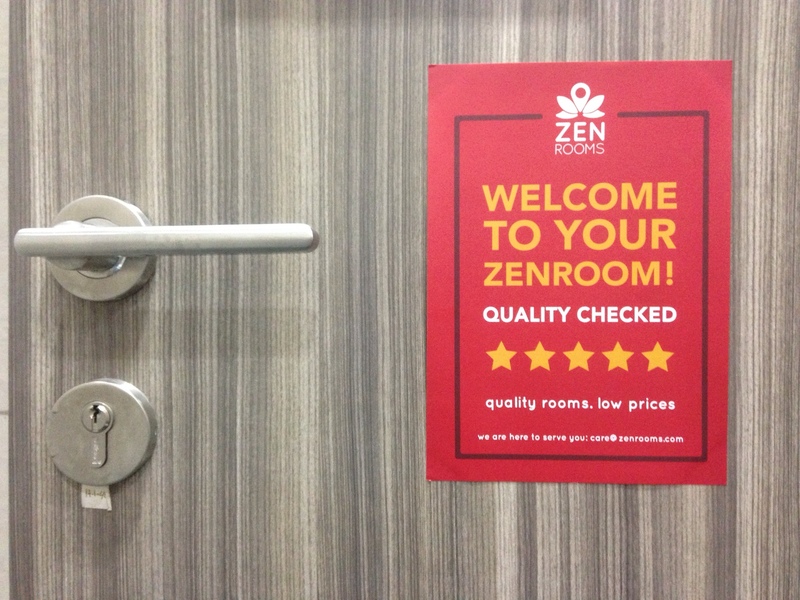 One of the reasons why every week thousands of guests book their travel with ZEN Rooms is because even with low rates, we have a constant guarantee of quality rooms. 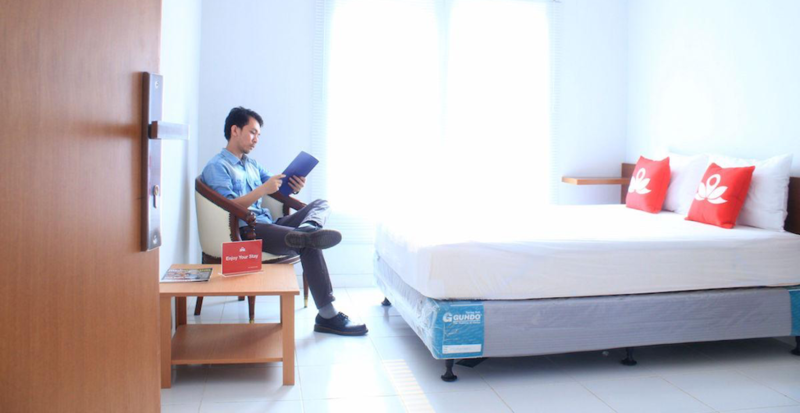 We have some budget rooms at US$10 per night (IDR130,000) and our guests always get 5 essentials. This is unique! This is why clients love us, but how does it happen? To ensure the ZEN quality standard, we have a very clear quality control process. This happens before a room even lands on our website! We have auditors in each city of operation who check each and every room carefully. So Meet Mr Deddy Satriawan, our superstar Lead Auditor based in the Jakarta office. How do you check all those hotels? What are the key points of attention? The first thing to do is recognize the ZEN room allotments. We don’t work with every room in a hotel or guest house. Just with a few rooms, reserved for us, which are converted into ZEN Rooms. I have to audit all the rooms that are in our contract, but not the others. 1) Is it a clean and modern room? 2) Is the line linen clean? Are mattresses good quality? 3) Is there a clean en-suite bathroom with hot shower? 4) Working AC in the room? 5) Strength of wifi in room? We have a nice ZEN App for quality control with a checklist of 100 points! I go through every one of them, and you have to be very critical. For cleanliness of room, bathroom, bed cover and linen, I measure them by giving rating 1 to 5. I also turn on lamps, TV and AC and the shower to make sure all work perfectly. For WIFI, we have access to a special mobile app to check the signal strength. This is very important as today wifi is like water! How many hotels did you visit so far? I am responsible for all quality control in Jakarta where we have more than 600 ZEN Rooms now. I already went to all those hotels at least once and make sure no hotel partner was left unaudited! How many hotels are not passing the audit standards? It happens quite often! Especially on cleanliness, AC, WIFI and safety. These are the big problems in Jakarta. I have been very strict on the cleanliness as no guest would EVER like to stay in a dirty room (dirty sheets, bathrooms etc). We either exclude problematic rooms straight away or perform deep cleanings before they go live on the website. This is done on case-by-case basis after discussing the Head of Operations. Do you also visit hotels on a regular basis? Yes. I have to make sure that all hotels partners keep respecting our standards. So I do re-audits and contact partners if a guest ever complains about one of our 5 promises. It helps that i now know the rooms pretty well! In case of issues, we have to act very fast. This happens if management of hotel changes for example. We communicate a lot with the hotel partner and ask why this problem appears. We offer help and ask what we can do to fix. For example, if it’s about cleanliness, we will ask the the hotel to do an urgent deep cleaning of our ZEN Rooms. If it’s about a wifi connection issue, we reinstall a new WIFI urgently. It all has to happen fast. In the worst cases, we can terminate our contract with partners. We are all about Quality at a low price, so it does matter in this company. You visit so many hotels! Any funny anecdotes? Aha, yes. I actually become good friends with hotel staff and even guests! We actually had one guest at ZEN who is cycling from the Netherlands all the way to Australia! Hard to believe! 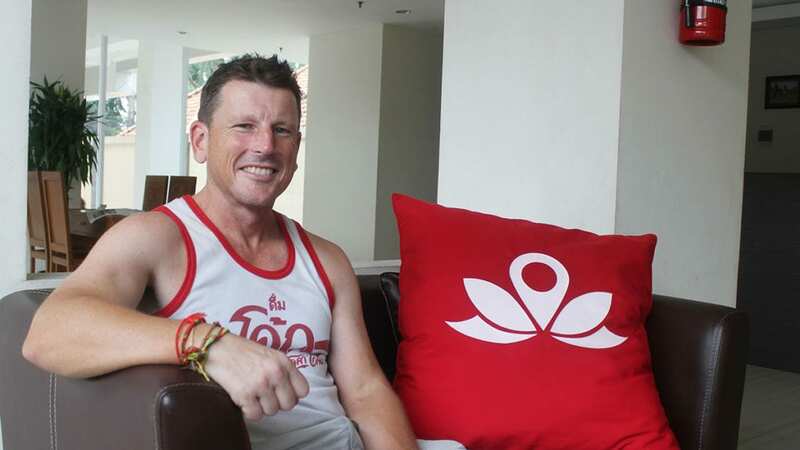 And he is staying at ZEN Rooms in Indonesia! Amazing story and I am blessed to meet such people. Thanks Deddy for the insights! So, now you know! When you are on your computing choosing your ZEN Room, somewhere there is a lot of work behind the scenes!